For years we’ve managed with a cheap and cheerful, mass-produced Nativity scene. It used to get brought out, set up and packed away with no thought and little sense of enjoyment. 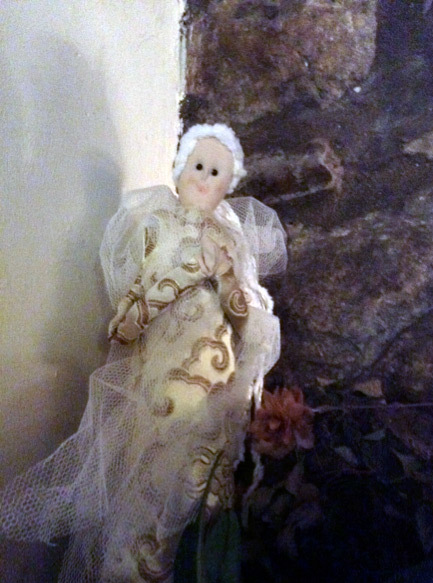 I decided to put my dollmaking skills to the test and set about creating needlesculpted Nativity Dolls. The thing about needlesculpting is that the dolls develop their own facial features and expressions. Mary, for example, bears (I think) an uncanny resemblance to the actress Pauline Collins; Joseph reminds me of a bearded Monty Don; at least one of the three Wise Men looks like a Klingon. Anyway, you can judge for yourself. I read an interview given by Rowan Williams (formerly Archbishop of Canterbury) in which he described how a Nativity scene added so much joy to his household when his children were young. 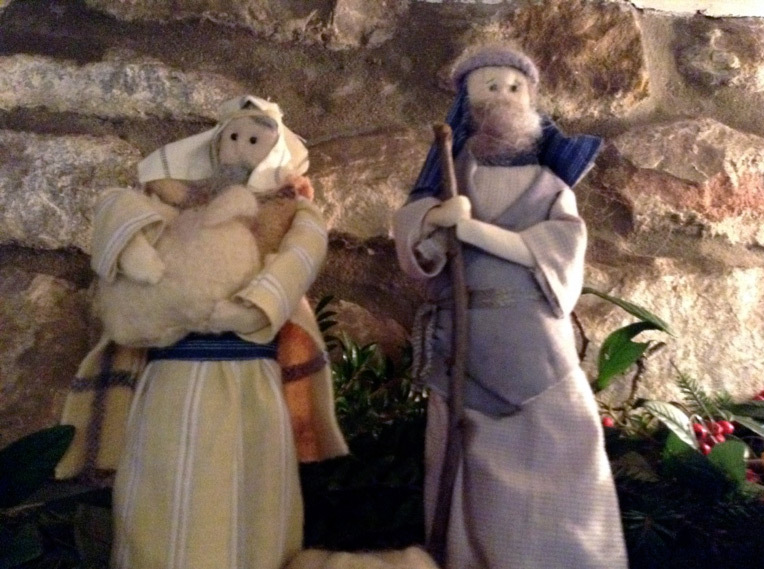 The tradition in the Williams family was that the characters in the Nativity scene followed the story of the Nativity in the Bible, so Mary and Joseph were put on display first. Then, in another part of the house, shepherds would appear with an angel; the Wise men would begin their journey and baby Jesus would only be placed in the crib on Christmas morning. So Mary and Joseph arrived outside the kitchen door early in December. A few days later, 2 shepherds and a couple of sheep took up residence on a bookshelf. 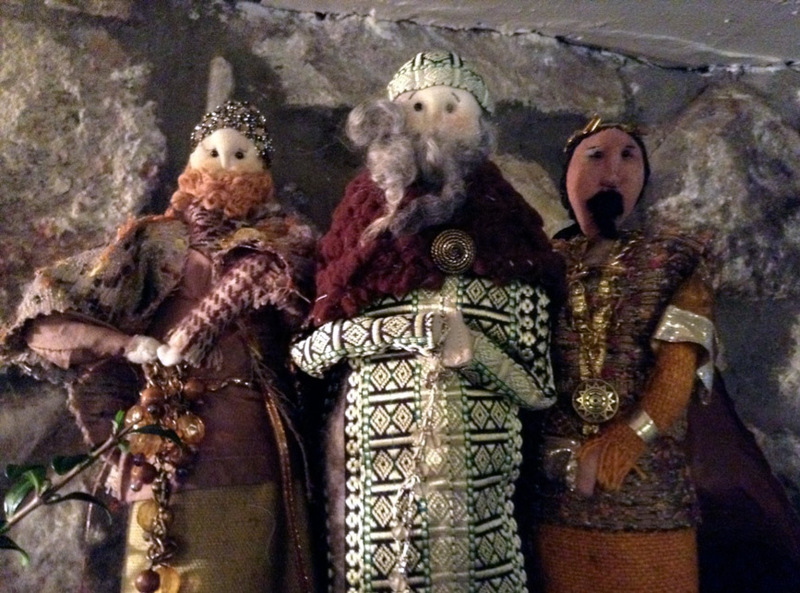 Last Sunday, three Wise men arrived at the front of the house and are slowly making their way towards the table where Mary and Joseph are awaiting the big day. 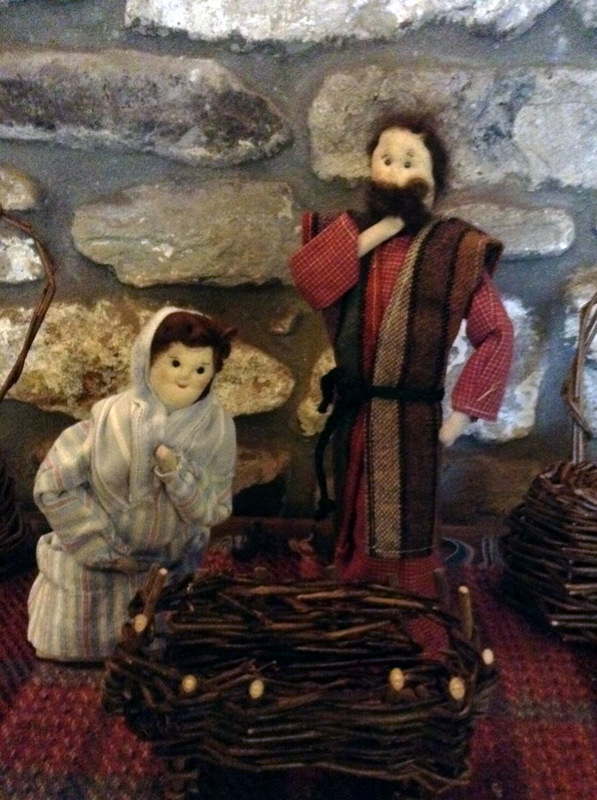 On Christmas morning, baby Jesus will miraculously appear in the crib. Everyone will be there except the Wise men who won’t arrive until Epiphany at the beginning of January. I’ll be ready with my camera!